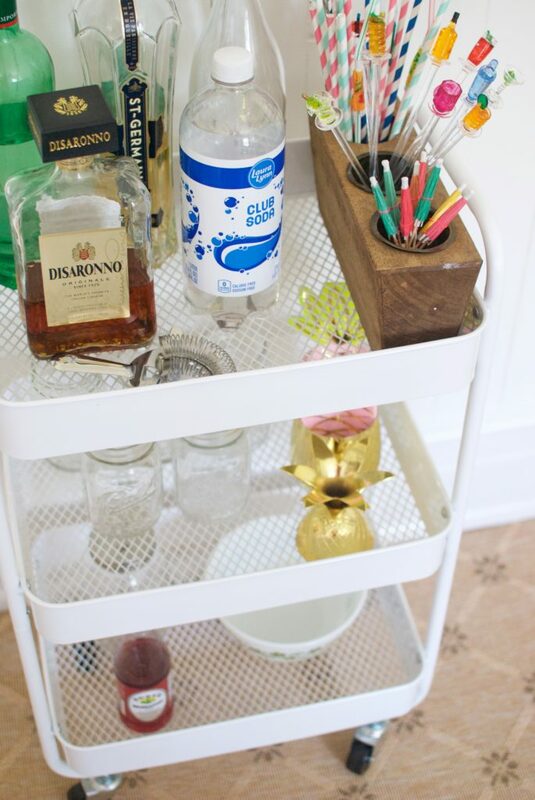 Tips for Creating the Bar Cart of Your Dreams! 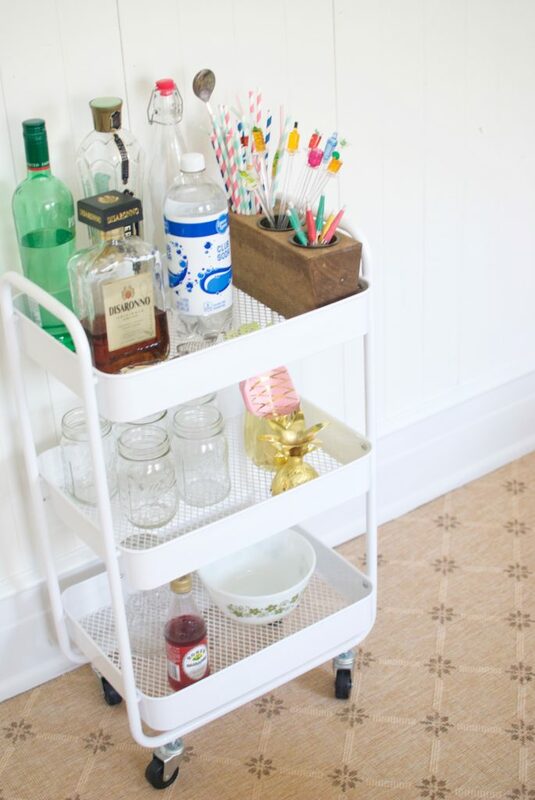 Bar carts are all the rage, and I absolutely love them! This trend just keeps getting better, too. 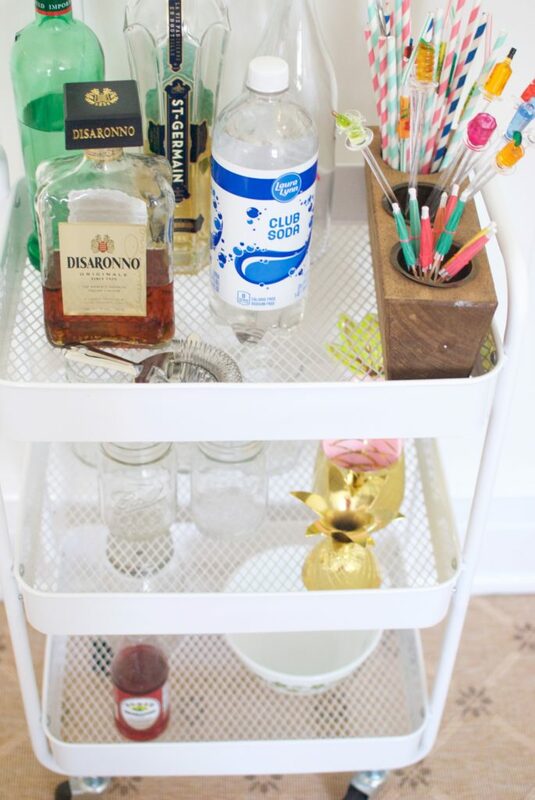 You have so many options for bar carts — below are a few of my faves from Amazon. 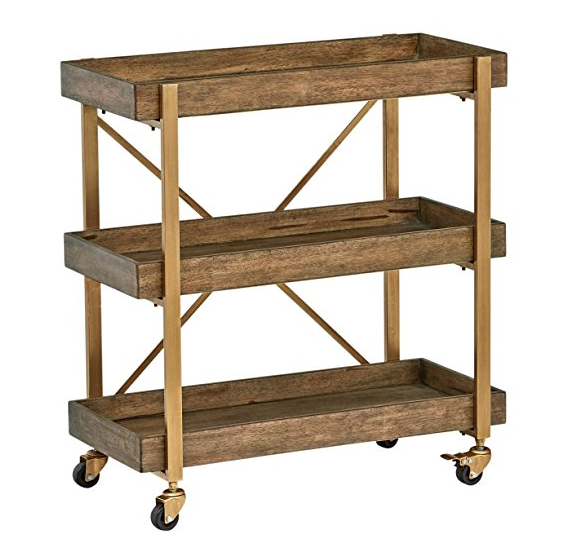 There are a few go tos in my opinion for bar carts — you need multiple sections. Enough to hold all your goods. I prefer mine to actually by a cart, too! One that I can move place to place if need be. I like enough room for fun things, such as straws, swizzle sticks, and bar tools. You can find all these products in my Amazon Influencer Store! <—- a great go to resource for all things entertaining! 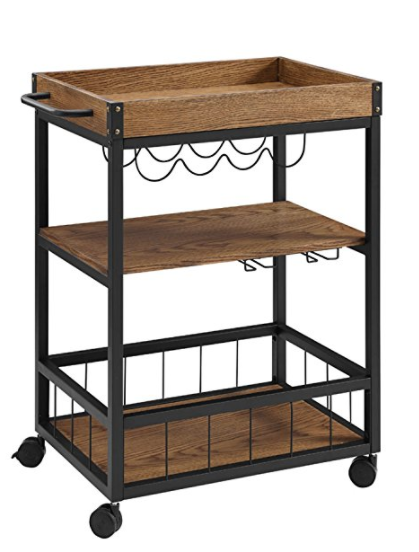 This is a wire cart from Target, y’all! Looks just like the Ikea kind! I use this thing for everything. 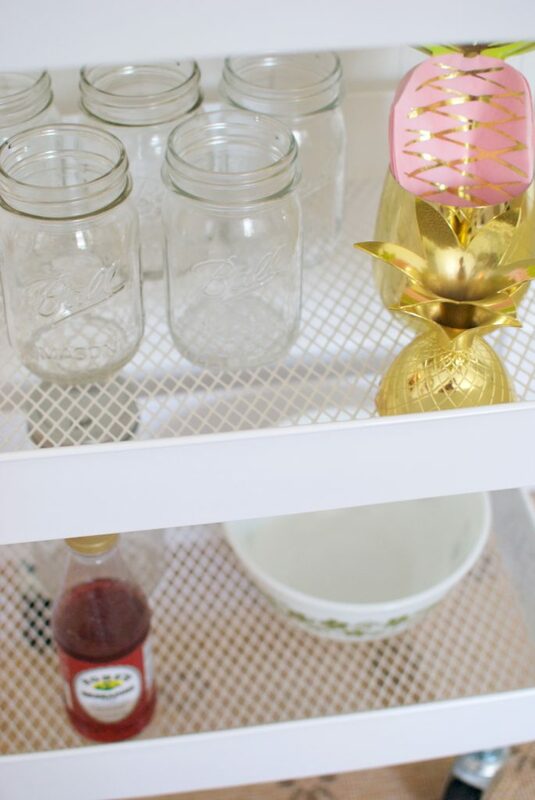 It can be a bar cart — or a bookshelf — or a night stand. All kinds of possibilities! It’s easy to style — choose your liquor. Put a few options out — nothing too much. Just enough. Include mixers such a club soda, and a bottle of grenadine! 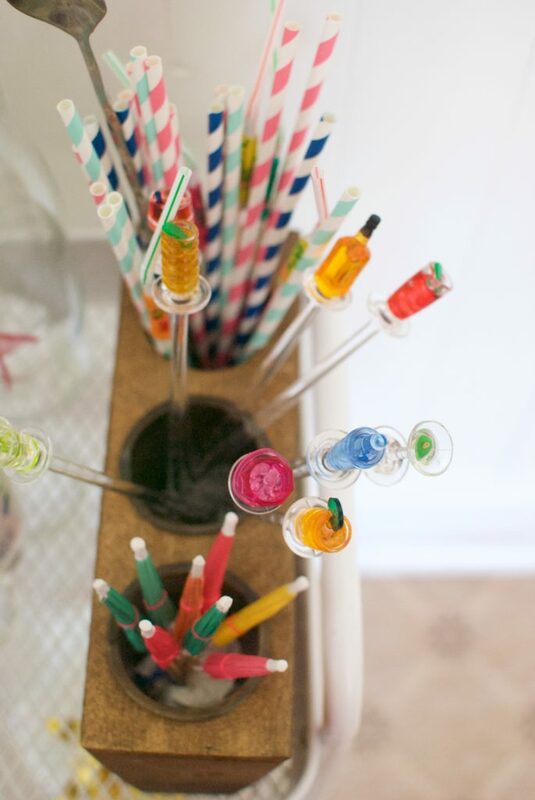 “Fun Things” — straws, swizzle sticks, umbrellas, etc! Ice bucket — or in my case, a Pyrex bowl! I love finding little things from around the house. My pyrex bowl works as an ice bucket. My mason jars serve as glasses, always… I live in the south! What do you expect?! 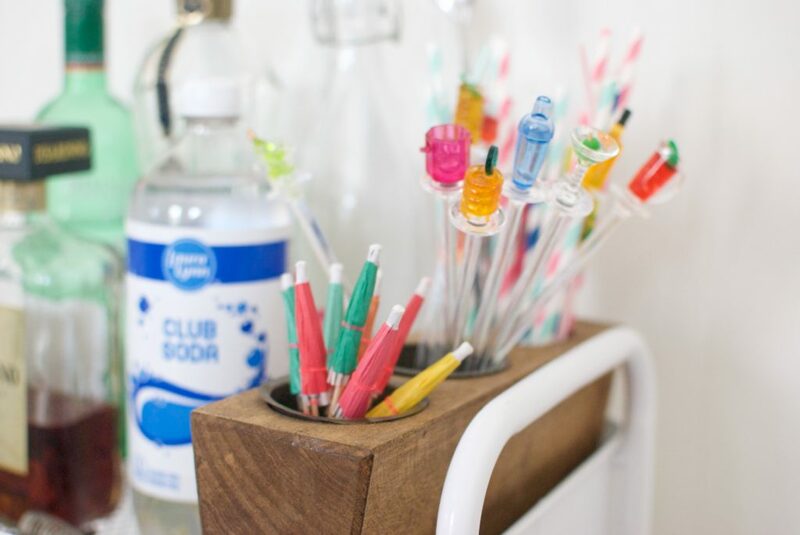 My sugar molds that hold swizzle sticks, straws, and cute umbrellas. <—– Who doesn’t want to feel like they’re on a beach?! Don’t forget to check out this cocktail, a Juice of a Few Flowers, that is perfect for Saturday morning brunch, or 5 o’clock somewhere girl time! Have you checked out Havenly? Not only are their photos gorgeous — they have a unique quiz you can take and reveal your style! Then you can find an online interior designer that matches your specific decor style and have them help you design your home, including anything from picking out paint colors to finding the perfect bar cart. Super fun, y’all! 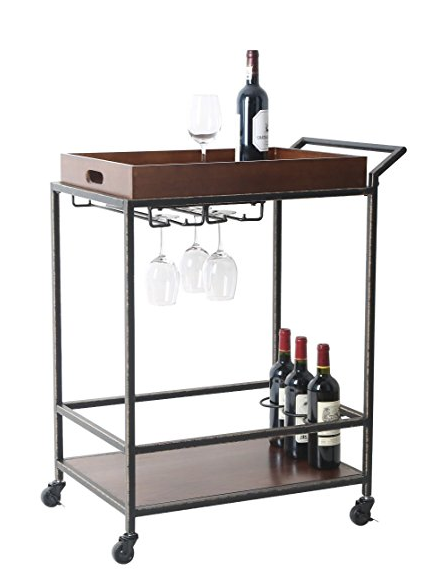 I’ve added a bunch of fun new items to my Amazon Influencer Store — head on over and get LOTS of bar cart inspiration! You can save this to your Pinterest boards!